The Moscow Mule: It's delicious, refreshing and oh-so-easy to make. With just three simple ingredients, you can create the perfect cocktail for any occasion. So What Exactly Is a Moscow Mule? A classic Moscow Mule is a mix of ginger beer, vodka and lime juice, served over ice and typically garnished with a slice of lime. The drink is refreshing with an intriguing spiciness from the ginger beer. There are two versions of the Moscow Mule's origin story, but each involves some big names in the alcohol industry of 1940s America. The first story goes that three friends - the owner of a ginger beer company and popular Los Angeles restaurant, the owner of a Connecticut-based cocktail products distributor and the president of a prominent vodka company - were getting drinks at the bar of the Chatham Hotel in New York City. A stroke of inspiration hit, and they wondered what would happen if they mixed together ginger beer, vodka and lemon juice. They made their concoction, took a sip and raised their glasses in celebration of the downright delicious drink they had just created. They dubbed it the "Moscow Mule," likely because most vodka in the U.S. at the time was imported from Russia and with the "Mule" part named for the spicy kick of the ginger beer. The second version of the story is that the ginger beer company and the vodka company teamed up and created the drink as a way to popularize and promote their products at bars across the country. The Moscow Mule was a delicious blending of the two drinks that caught on fast. Whichever story is the real one, it's true that they created an iconic American cocktail - one that remains incredibly popular today. 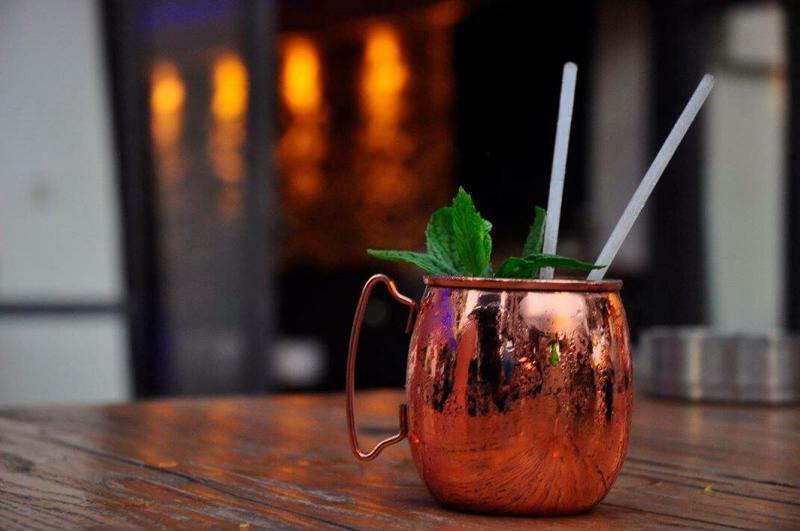 A Moscow Mule is traditionally served in a copper mug. What's with the Copper Mug? 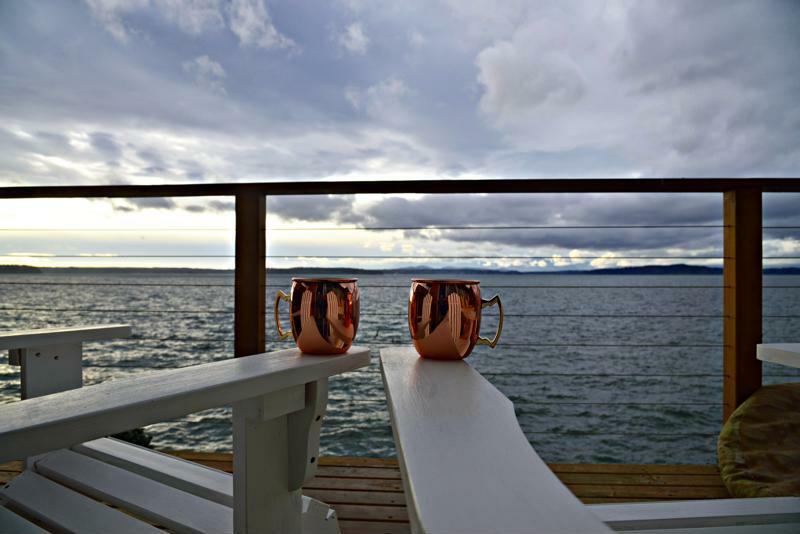 The copper mug is an essential component to the Moscow Mule experience. The cocktail has been served in this type of cup ever since it was introduced to Americans in the 1940s. The legend goes that promoters would travel from bar to bar during long road trips across the country with cases of copper mugs in tow. They'd give the mug to a bartender, show them how to make the drink in it, and then take two pictures of the bartender holding up the drink - one for the bartender to display at their establishment, and one photo to show the bartender at the next bar as proof of the drink's popularity. There are many fun variations of the Moscow Mule, but first it's important to master the classic. Squeeze the juice of the lime half into the copper mug. Add the ice cubes. Pour in the vodka, followed by the ginger beer. Garnish with a lime wedge and serve. Add ice to the ice reservoir and all remaining ingredients to the Margaritaville® Frozen Concoction Maker® glass jar. Concoct and pour into copper mugs. Garnish with lime wedges before serving. This is a popular twist on the classic cocktail, swapping vodka for bourbon for some added Southern charm. Add ice to the ice reservoir and all remaining ingredients to the Margaritaville® Frozen Concoction Maker® glass jar. Concoct and pour into copper mugs. Garnish with fresh mint sprigs before serving. Try putting a tropical twist on the classic Moscow Mule. Add some sweet island flavor to the Moscow Mule with some tropical fruit juices. Add ice to the ice reservoir and all remaining ingredients to the Margaritaville® Frozen Concoction Maker® glass jar. Concoct and pour into copper mugs. Garnish with lime and pineapple wedges before serving. Juicy cranberry adds a tantalizing tartness to the typical Moscow Mule. Add ice to the ice reservoir and all remaining ingredients to the Margaritaville® Frozen Concoction Maker® glass jar. Concoct and pour into copper mugs. Garnish with lime wedges and a sprinkle of fresh cranberries on top before serving. It's the ginger beer that defines the heart of the Moscow Mule, so it's fine to swap out the vodka for rum and add in a splash of sweet coconut cream, trust us. Add delicate notes of cucumber and lemon to a Moscow Mule for an extra-refreshing concoction. Add ice to the ice reservoir and all remaining ingredients to the Margaritaville® Frozen Concoction Maker® glass jar. Concoct and pour into copper mugs. Garnish with lime wedges and cucumber spears before serving.